When Paimon Jaberi was a kid, crisp autumn days were all about football — especially when the Seattle Seahawks played at home. He’d race to his seat for the opening kickoff, roar in unison with the crowd and revel in the game-day atmosphere. And as he grew older, the native of Bainbridge Island, Washington, knew he wanted to be a part of the team. Mission accomplished. 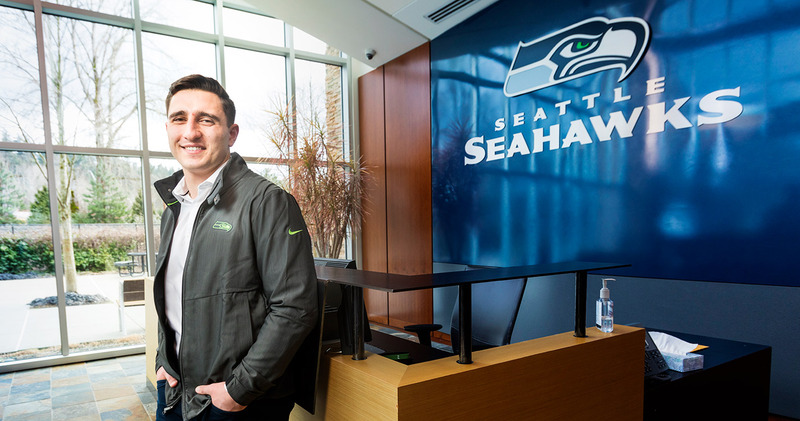 The 24-year-old Willamette graduate plays an integral role in the Seahawks organization — not as the linebacker he was during his Bearcat days, but as a business intelligence analyst. The work he does is essential to the team’s success. Jaberi and his colleagues analyze data related to ticket sales, fan preferences, stadium operations — anything that touches the business side of football. Then they present actionable insights to Seahawks executives to help drive business strategy. As he strolled through the team’s corporate headquarters on a recent Saturday, Jaberi reflected on his journey to the NFL. He said it all began with a memorable visit to Willamette University while he was in high school. Jaberi was looking for the full college experience, and that’s exactly what he got. He competed as an athlete for the Bearcats. He developed deep relationships with his classmates and fraternity brothers. And he took courses that broadened his perspectives and sharpened his problem-solving skills. 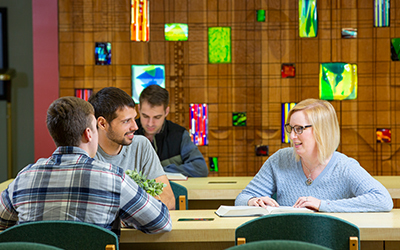 His career path came into focus after he spoke with his teammates about Willamette’s accelerated dual-degree (3-2) business program. The prospect of finishing a bachelor’s degree and an MBA in five years instead of six was incredibly appealing, and he went for it. 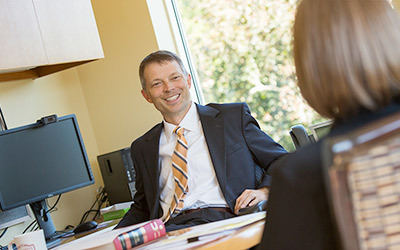 Jaberi majored in economics and pursued his MBA at Willamette University’s Atkinson Graduate School of Management. Working closely with professors Mike Hand and Robert Walker, Jaberi learned how to analyze complex data sets. And under the critical eye of professor Larry Ettner, he became a highly polished presenter. While he was wrapping up his fourth year at Willamette, Jaberi contacted a member of the Seahawks’ business intelligence team. That led to a part-time job in the summer of 2017, which turned into a permanent position one year later. Only 10 months out of college, Jaberi has a full NFL season under his belt. 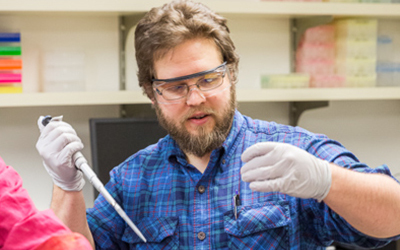 He loves coming to work every day – and he said Willamette was the perfect launching pad for his career. 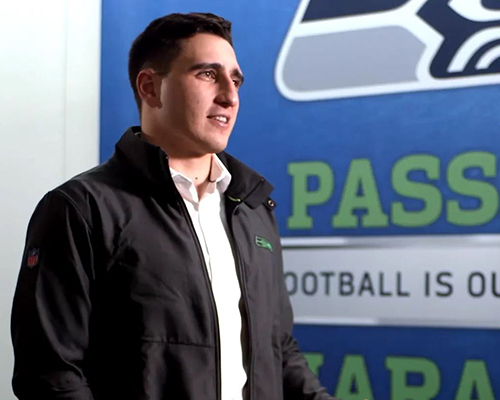 Only 10 months out of college, Paimon Jaberi ’17, MBA’18 landed his "dream job" as a business intelligence analyst for the Seahawks and has a full NFL season under his belt. He said Willamette University was the perfect launching pad for his career.